The wonderful prose, the emotional story, the great characters.. It touched my heart, really. This book is absolutely incredible and I feel honoured to have it on my ‘favourite’ shelf. The story is dark, but also hopeful, it is a triller but also with a psychological touch, it talks about trauma but also about healing, it is hopeless and hopeful all at once, and I found it to be brilliant, the perfect story for me. I haven’t read a book quite like this in a while. And I don’t know exactly what to tell you about it because ’emotional’ can only be felt, not explained. Lily is a broken girl with a broken soul. Watching her mother being killed affected her deeply and you could actually feel it in your bones. Her pain is almost palpable, you can watch her tear under its pressure, under the weight of her regrets, lost in the hollow that threatens to overtake her. For a broken character, her mind is just as shattered as you’d expect it, so Lily comes by as an incredibly unreliable character. 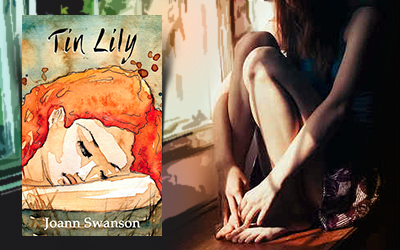 With each page the compelling writing is making you wonder what is real and what not, the confusion draws you in, Lily’s need to be whole again becomes your own.. I will be honest here, the pacing is slow, but the suspense is always there and it makes you want to breathe in each and every word. And then comes the emotion.. The way she misses her mother, the way she remembers that year of bliss when they were on their own, the way she lets the regrets set in, the way she takes the blame for so many things she thinks she could have done.. ‘Touching’ is such a small word compared to what I felt towards this book and Lily. Also, I have a thing for beautiful dialogue, and Joann Swanson nailed it. I loved how each character was different, had an authentic voice and found another way to get to Lily, how each of them managed to put back together some other pieces of her mind. And the fact that they were also broken and reshaped, made Lily connect with them on a deeper level. She didn’t feel alone anymore. But having close people in her life means that she has something new to lose, and when the moment comes she needs to decide just how much pain her heart could take still, and what she is willing to sacrifice in order to protect them all. 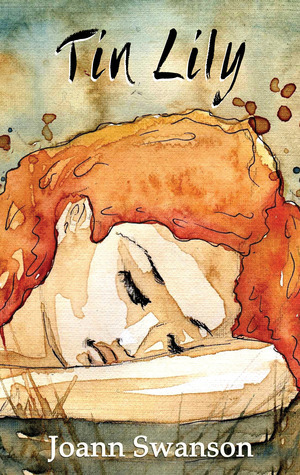 Like before, I am painting this story in such a dark colour, but that is not the case (watch the lovely artwork from the cover – the girl is sad, but she is painted in happy tones). The story is still full of hope, the people she meets are eager to give her a smile and take one in return. Her heart starts to heal, to make room for all of them, it starts to beat in a new rhythm. As a reader I could connect with all of this and I enjoyed each word and emotion. And I love this in a story, when all feelings feel this real, when everything feels personal. There is a bit of romance too (I found it to be sweet and it added a different sort of emotion), so for those people that don’t read a book without romance in it, you are safe, go read this book because it is well worth it! I said it before, I will say it again: the writing is really touching and beautiful. If this is a debut novel I simply can’t wait for the next ones. I loved it and I recommend it from the bottom of my heart. Book source: E-book received from the publisher for review. Thank you! PS: I would recommend this book to the fans of ‘Stick‘. The stories are not the same, not even similar, but somehow in my heart they are still related. I don’t know where do you find these books, but this one sounds lovely too, I am adding it to my TBR right now 🙂 Great review! Sounds like a great book. I was sold from the synopsis, but your review makes me want to read it even more. I am glad to hear that and I’ll be even more happy if I hear that you loved it as much as I did. I hope that you will read it soon! Ariana – thank you so much for this review. I adore and appreciate passionate readers like you. I’m so glad you enjoyed Lily’s story! And I adore beautifully written emotional stories. “Tin Lily” is that and more. Thank you for writing this book, it holds a special place in my heart!